I tested the connector with several different wires, and I can agree that they seem to work pretty well and are easy to use. But there were few details that make me wonder if they really match the specifications they have. One thing was that the construction was such that there was just a small metal spring and plastic case. It seems that this might not hold the high currents on real life situations, because cable connectors that really handle 10A usually have much more metal in them to carry currents and hold wires. So I decided to test the connector if they really could keep the promises on specifications. I first decided to test the current handling of connector. So if they say less than 10A current recommended, the I expect connector should be able to handle 10A at least for short times with some heating. So I wired 10A AC current source (connected wires 1.5mm2 solid copper wires) to the connector. The end result was that the connector melted at 10A current in around one minute when I was trying to measure with IR thermometer how hot it gets. View to bottom: He spring melted through. Other thing that I noticed… On one side the metal part was pretty well isolated, but on the other side they are visible that can be touched with finger without too much trying. As such those do not feel very safe to be used on mains voltage installations. Maybe the real current rating is much less than 10A. Also tested at 5A current. The result was that in few minutes the connector heated up very much. My IR thermometer showed 68 degrees Celsius. The product page mentioned for less than maximum 1500W load I tried that 1500W load (1500W/230V = 6.5A). At that current the connector melted in few minutes. 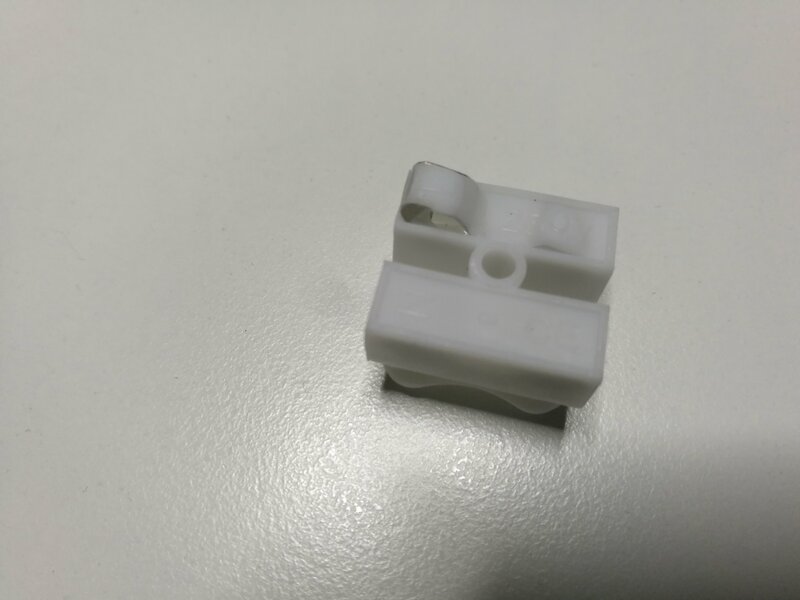 Sorry Banggood but pressing the cable against end of steel spring and plastics can’t end with a low contact resistance! The resistance causes heating that starts melting plastic, that again increases resistance as contact force is reduced. The product page said temperature range -40℃ ~ 150℃. I tested the high temperature with temperature controlled soldering iron set to 15o℃ (temperature verified with soldering iron thermometer). Soldering iron at 150℃ melted the plastic quite easily. According to Wikipedia polyethylene melting point is typically in the range 120 to 180 °C. According to my tests those connectors do not seem to be suitable or safe for high currents and mains voltage. They are potential fire danger because they are expected to melt before the mains panel fuse blows in on overload or short circuit situation. For low voltage low current bench testing those could be useful. Currents up to 3A did not seem to cause too much heating, but there was already around 200 mV voltage loss over connector. The low voltage low currents is no problem, but please don’t use them with high current and mains voltages. This is a learning that don’t always trust the given specifications or CE mark stamped to product. Really like the Wago blocks. 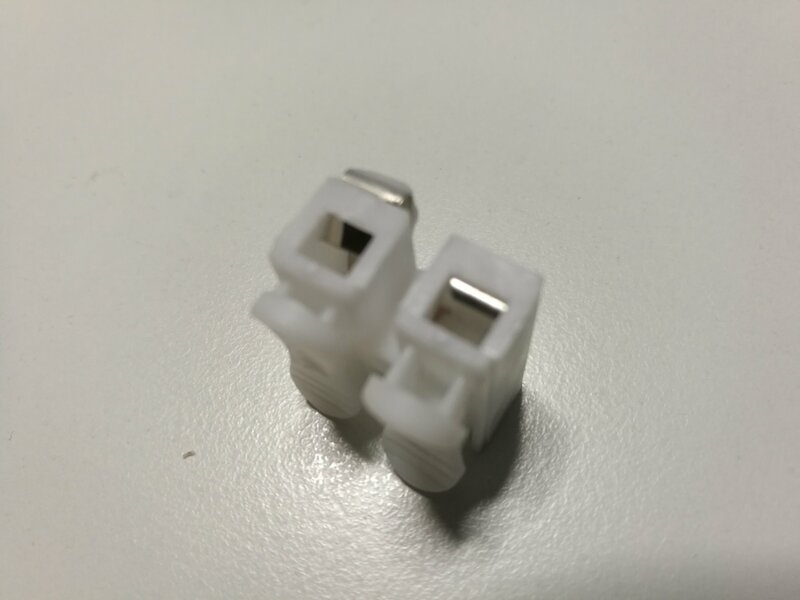 The ratings on the connector block are just to cover their arses, they dont want people shoving loads of cables in and spurring off the connectors. Those connectors can carry way more than their rating. By the way it seems that there is no CE mark of the European Union in the product. The CE mark stamped to product seem to me to be “China Export” that bears a striking resemblance to the official European marking. In recent years we’ve all got used to the fact that if a product bears the CE mark, it’s safe. The reason for this assumption is that goods with CE marking demonstrate that they meet relevant and strict EU standards. This marking brings benefit to all in the supply chain and most notably, the consumer. Unfortunately, there exists a very similar mark which the majority of consumers and even sellers may see as the CE mark of the European Union but actually is something completely different. This “CE” mark means “China Export” and only means that the product was manufactured in China. It is believed by various organizations that this similarity is not a chance coincidence and that this expresses an aggressive approach to sell into the European market without the right standards. The CE Mark is required on certain products that are sold in the European Economic Area (EEA). There are a number of compliance categories which cover different products. For most products companies don’t need to seek external inspections to use the mark. For products that require the mark, companies only need to ensure their product meets the applicable standards through testing, provide a declaration, and then place the mark on their product. Certain categories such as medical devices, require testing by an accredited third party called a Notified Body. The China Export Mark means that the product was manufactured in China. There is no registration, testing, or auditing required in order to use it. The mark can be used arbitrarily by Chinese manufacturers. Products bearing the China Export mark vary in quality from being acceptable to outright dangerous in their design, and require constant vigilance on the end user’s part to be used safely. It is common practice for engineers to fully disassemble and inspect products of suspect quality, especially products which operate from AC mains power such as USB chargers, and battery chargers. Many engineers have personal anecdotes of using poorly performing products that appeared to have a CE mark, which turned out to be a China Export mark. One common shared experience is that of power supplies which become dangerously hot, sometimes to the point of melting their own casings. Given the vast difference in the meaning of these symbols, you need to be able to tell them apart. There may be a large variation in quality between a legitimate CE-marked product and a look-alike, and it is important to be aware of what you’re buying. Otherwise, it might hurt. Of course being able to spot the difference between the two marks doesn’t quite save you from counterfeits, as there are vendors which place fake UL, CE, and other markings on their products. Constant vigilance on the part of engineers and supply chain management is needed to ensure you’re using the parts you think you are. 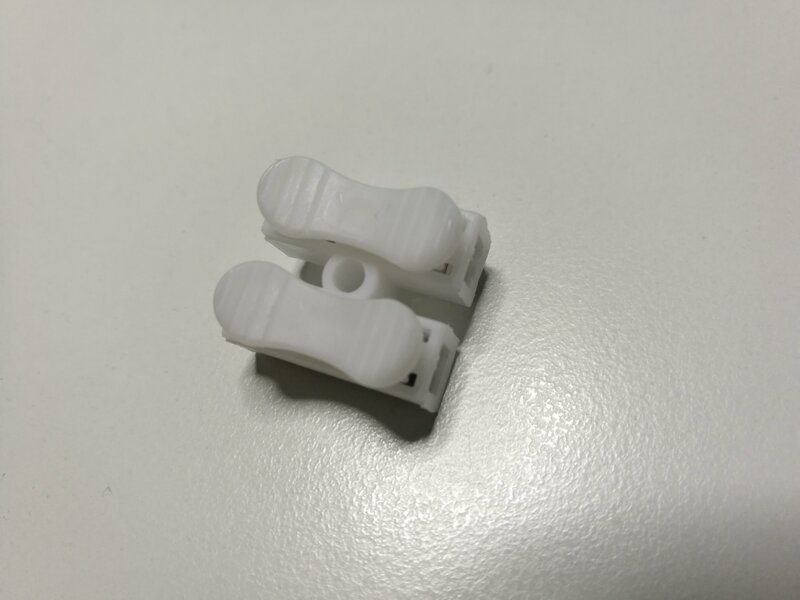 Cheapo wire connectors – unsafe and useless in any situation. Do not buy or use these. What’s inside some 222 series Wago connectors and some identical looking other types. Finally I got around to testing the new Wago 221 vs the 222. So which Wago wins? For me the 221 housing has a clear advantage (no pun intended). It’s just nice to see the wires are inserted correctly, and it is a lot smaller. The old 222 is slightly more robust, cheaper, and the plastic doesn’t melt as quickly. You decide! WAGO 222 connectors review and demo. How to use with WAGOBOX Junction Box. A review and demo of the WAGO 222 connectors. I show how to use the Wago 222 to create a lighting circuit, to connect and extend cables, and how to use them with the WAGOBOX Junction Box. I give a quick product overview with my thoughts on the Wago 222 series of connector blocks. Wago connectors have revolutionised the way electrical installation is done. The 222 series and the 221 series have screwless connection by simply lifting a small lever, they are fully reuseable. The 773 series and the 2273 series are so simple just strip the end of the wire and push it into the connector. 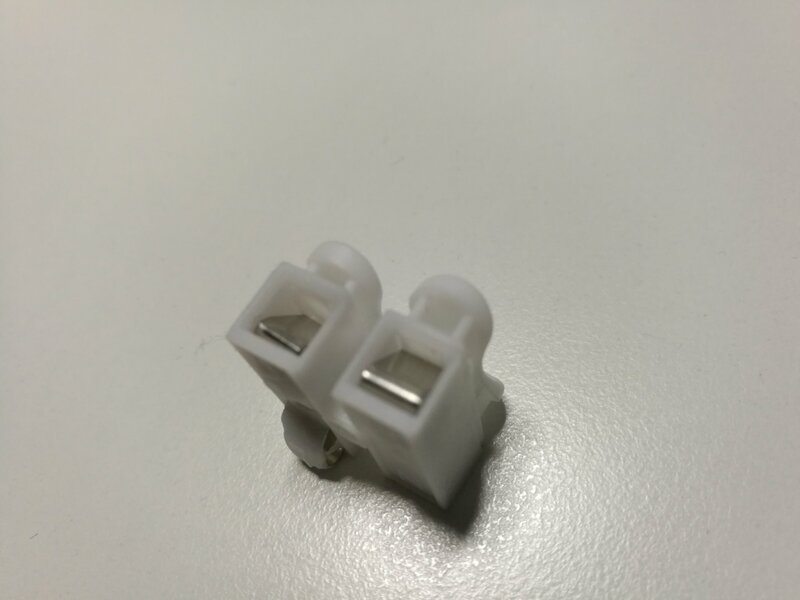 The lighting connectors 224 series allows a solid cable on one side to connect to fine stranded (Flex) on the other which is ideal for low voltage transformers used on down lights. All these WAGO Connectors must be housed in a junction box or enclosure. Student training aid for the connections when the feed is taken directly to the switch. Also how to wire one way switching using either Wago, In-Sure, cripms or 5 amp connector blocks. A demonstration on how to use the different types of Wago connectors. A look at the Wago terminals and Wagobox system. You’ve probably seen me use the click-open terminals for making quick mains connections to stuff I’m testing, and while it’s not an official use for these terminals it works fine for me. A few of you have asked what sort of terminals they are, so here’s a quick overview of the different types of Wago terminals and how they are used. The Wagobox is a really clever system that makes wiring easier, faster and less finger-intensive. Much better than the older style round fixed-terminal junction boxes. They’re basically plastic enclosures with snap-shut lids, that have adjustable cable grips that are put under pressure when the lid is shut, compartments for holding the terminals and a space for the wiring itself. One of the nicest features of these boxes is that all the wires can be the same length, and all the connections can be quickly and easily made outside the box before just slotting them in. The SpliceLine™ connectors are one of the easiest ways of joining two wires together without an specialised tools such as crimping pliers.